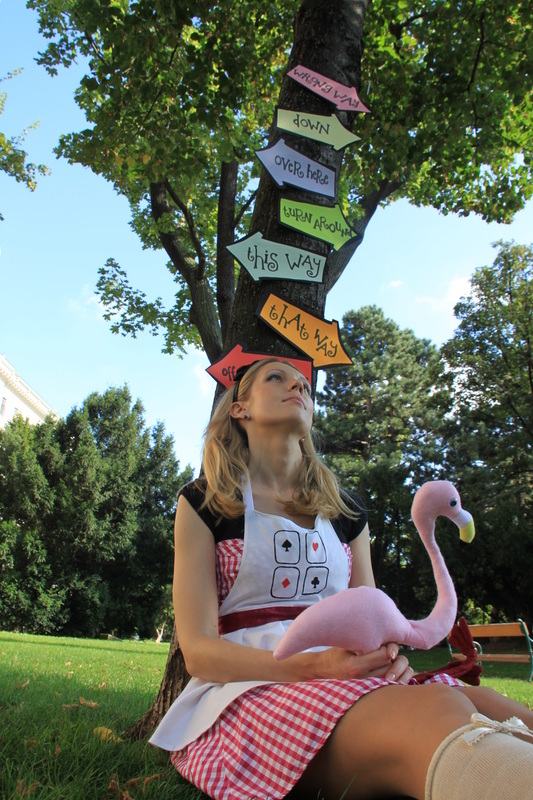 One lovely day I decided to make an Alice in Wonderland costume for a photoshoot. Something different, yet, recognizable. 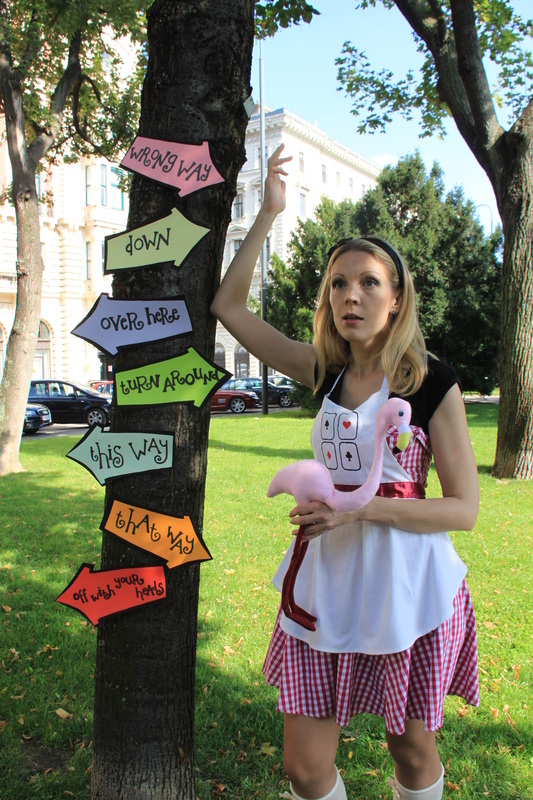 Alice - check, dress - check, apron-check, headband - check, stockings - check... Yet I was missing something. 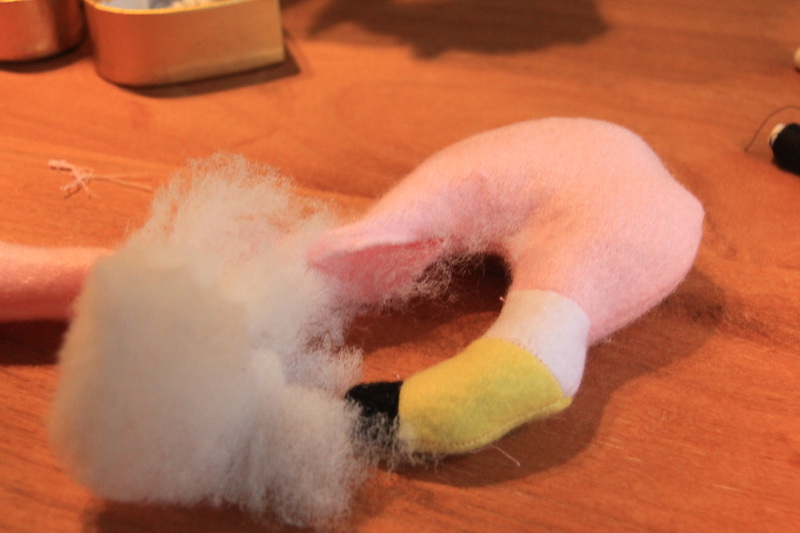 A flamingo, of course! Since buying a cheap inflatable flamingo suddenly was not an option (what's with those delivery charges? ? ), I had to make it myself. Just one of those moments, when no tutorials are available online and you have to create one. Step 1. Print the patterns. In my case was, more, draw the patterns and hope for the best. Step 5. 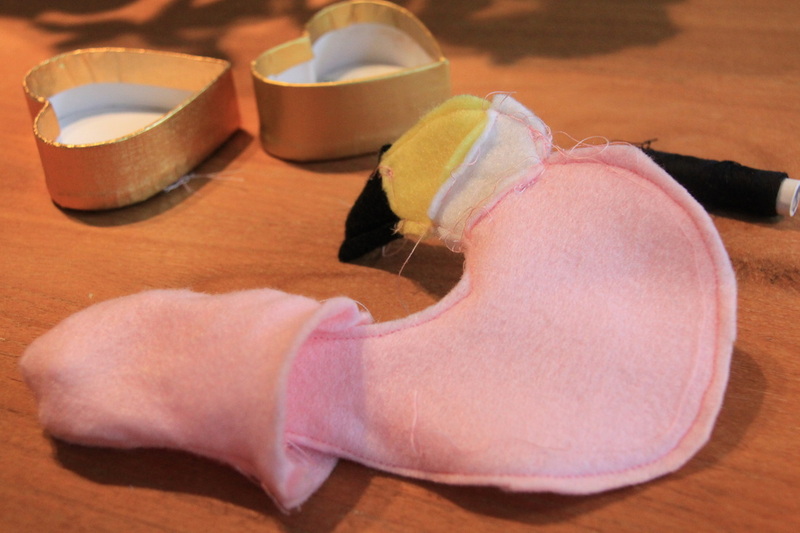 Repeat with body - sew right sides together, turn, stuff, attach to body. 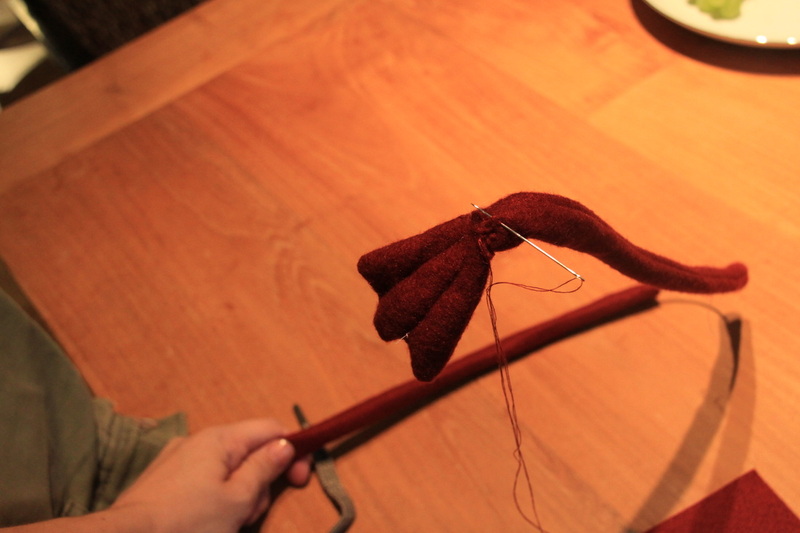 Leave the unsewn part you used for turning open for now, as we need to attach the legs. Step 7. Make feet and put wire inside (if you are using). Attach to tubes. Step 8. Attach legs to body and close the body. 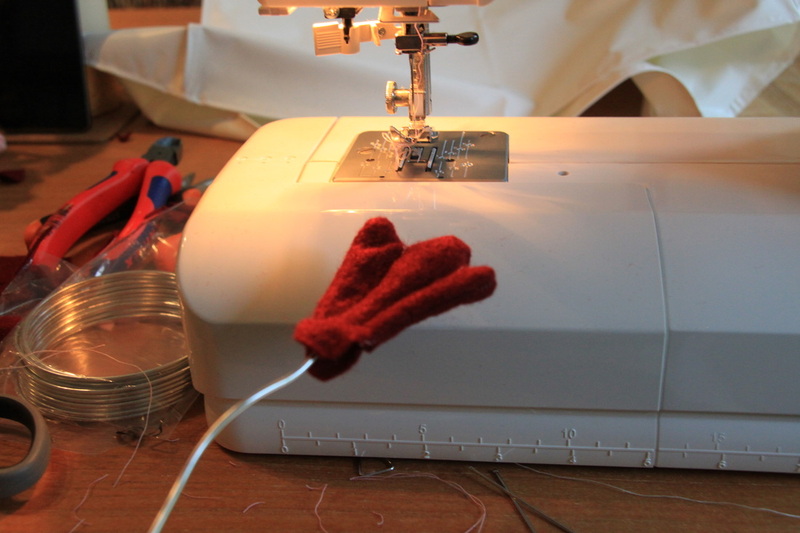 Glue or embroider eyes. 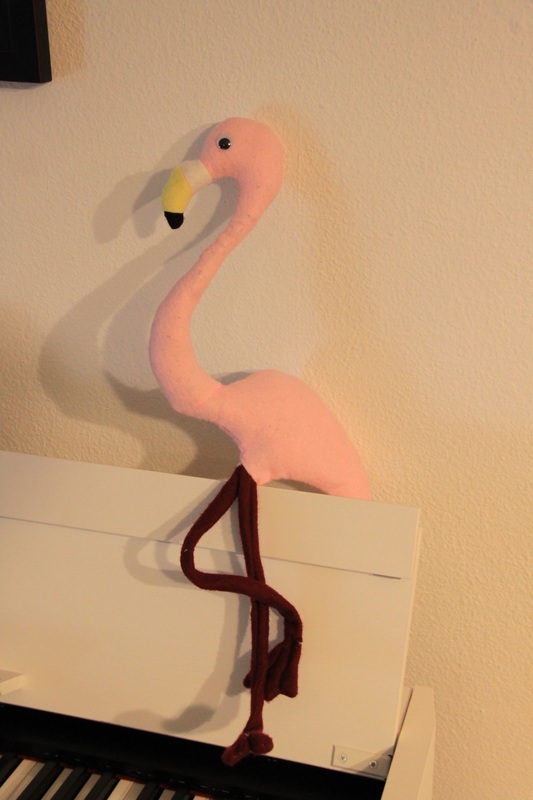 You have a flamingo! Step 9. Give it to your Alice.